Welcome to Aviation Classics, a new series of high-quality glossy publications centred on the world’s greatest aircraft, the events in which they played crucial roles and those who flew, maintained and supported them. We begin with the Avro Lancaster, a type held in high regard by Bomber Command aircrew and an aircraft still admired by so many. The sight and sound of the Battle of Britain Memorial Flight’s PA474 flying around the country will turn anyone’s head, and can bring a tear to the eye of those with a personal connection as it brings back emotional memories of fallen comrades and family. Over 55,000 Bomber Command aircrew didn’t return home and many more were physically and mentally scarred. Groundcrew, too, lost their lives with their efforts to keep the aircraft flying. The RAF’s last Lancaster continues to tell the stories of those young airmen who risked and gave their lives each night to preserve the freedom of their country – put simply, the ‘Lanc’ is a flying memorial. This new bookazine series is brought to you by Mortons Media Group Ltd, whose headquarters is in Horncastle – right in the heart of what became known as ‘Bomber County’ during World War Two due to the many stations operating aircraft in that role. Even nowadays Lincolnshire continues to be home to the lion’s share of the Lancasters remaining in England. A few minutes down the road and turn right we have RAF Coningsby, from where the BBMF’s airworthy Mk.I flies out of. Turn left and we have the Lincolnshire Aviation Heritage Centre which operates Lancaster VII Just Jane in taxiable condition at East Kirkby. 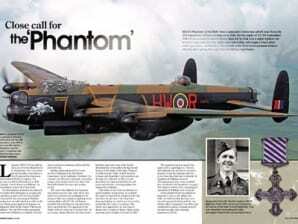 So there couldn’t be a better way to launch Aviation Classics than with the ‘Lanc’! On the night of 3/4 September 1943 BBC correspondent Wynford Vaughn Thomas and recording engineer Reginald Pidsley flew to Berlin on board Lancaster EM-F for Freddie of 207 Squadron, then based at RAF Langar in Nottinghamshire. 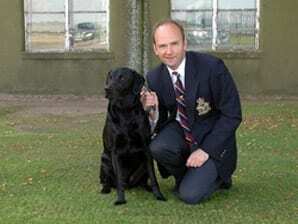 On this mission F-Freddie was piloted by Flight Lieutenant Ken Letford. This raid involved 316 Lancasters and 4 Mosquitoes, which dropped ‘spoof’ flares at a distance from the heavy bombers’ route to mislead German night fighters. Although both marking and bombing mostly fell short, the industrial area of Siemensstadt was hit, as well as residential areas of Charlottenburg and Moabit. 422 people were listed as killed on the ground. 22 Lancasters were lost. During the war 207 Squadron suffered the fourth highest overall percentage losses in Bomber Command, and the highest percentage losses in 5 Group. Thomas and Pidsley demonstrated astonishing bravery in volunteering to fly on the raid, and their recordings, edited and broadcast within 12 hours of landing at Langar, were the making of Thomas as a BBC correspondent. On these extracts the emphasis is on intercom dialogue, including part of the bomb run and the destruction of a German night fighter. In-flight actuality recordings were made using direct cut acetates, made on portable disc cutters which provided a sound recording that could be replayed instantly. At altitude in a Lancaster, Pidsley had to place the uncut discs inside his flying jacket to warm them up, as otherwise the ultra low temperatures made the disc lacquer too brittle to cut. Three members of the crew of Lancaster AJ-P ‘Popsie’ of 617 Squadron interviewed by Roy Lee on 31 May 1944. All are Royal Australian Air Force (RAAF) personnel. Pilot Squadron Leader Harold ‘Mick’ Martin (DSO and Bar, DFC and Bar) pays tribute to his previous front gunner, Flight Sergeant Harry Smith, now missing in action; rear gunner Flying Officer Thomas Simpson (DFC, DFM) describes the attack on the Mohne dam on the night of 16/17 May 1943; front gunner Flying Officer Bertie Foxlee (DFC, DFM) also describes the breaching of the Mohne dam, and a subsequent mission to the south of France. AJ-P Popsie was the third aircraft to attack the Mohne dam, bombing from just 60 feet, although her Upkeep bomb overshot the target. Extract from a radio interview recorded in Canada with Wing Commander Guy Gibson VC in late 1943. Here Gibson talks about Anglo-American cooperation, his attitude toward facing death, and the eventual defeat of Germany. Note that Gibson hints 617 Squadron fully expected to take heavy losses on the Dams raid in May 1943. An account by Squadron Leader John Nettleton VC, a Lancaster pilot with 44 Squadron, who was awarded the Victoria Cross for his part in the experimental, low-level attack on Augsburg on 17 April 1942. The MAN diesel works in Augsburg produced engines for U-boats, and the raid was requested by the Admiralty. Nettleton lead a force of 12 Lancaster bombers from 97 and 44 Squadrons in daylight over 500 miles, then pressed home the attack from beneath 50 feet. Flak and fighters took a heavy toll, and only half the force returned. The Lancaster entered service early in 1942, and the daring Augsburg raid represented a relatively early operation for the type. Recorded 19 April 1942. John Dering Nettleton (born 1917) was a Rhodesian pilot, killed on 13 July 1943 when his aircraft was shot down over the Bay of Biscay while returning from a raid on Turin (Italy). Canadian war correspondent Stewart MacPherson interviews the station commander, and Lancaster aircrew on their return from a raid. Unit and location not identified. On the night of 24/25 March 1944 a total of 811 aircraft were sent to Berlin, including 577 Lancasters, 216 Halifaxes and 18 Mosquitoes. 72 aircraft were lost, mostly to flak, but with 14 claimed by night fighters in the target area. A strong southerly wind plagued the mission, scattering the bomber stream and causing difficulties in marking the target. Most of the damage in Berlin was to the south-west, where much housing was destroyed and 20,000 civilians made homeless. Some 150 people were killed on the ground. Several industrial and military targets were also hit, including the depot of a Waffen SS division in Lichterfelde. This attack proved to be the RAF’s last major raid on Berlin. Recorded 25.4.1945. A series of recordings made at RAF Bardney in Lincolnshire by and with aircrew of 9 Squadron, including Wing Commander J.M. Bazin, Flight Sergeant E.J. Cutting (a rear gunner), Squadron Leader J.D. Melrose and Flight Lieutenant Campbell DFC. Also with commentary by Brian Bliss. This unit operated Lancasters, and together with 617 Squadron were one of only two squadrons which specialised in precision strikes with the huge 12,000 lb Tallboy ‘earthquake’ bomb, developed by Barnes Wallis and used to sink the Tirpitz. The April 1945 raid on Hitler’s mountain retreat (the Berghof) near Berchtesgaden in Bavaria was the last mainforce raid made by Bomber Command during the Second World War. Flight Sergeant George ‘Tommy’ Thompson was a wireless operator with 9 Squadron, operating Lancasters from Bardney. On 1 January 1945 his aircraft (PD 377U) took part in a daylight raid on the Dortmund-Ems Canal, and had just released its bombs when it was hit by heavy calibre anti-aircraft fire. This shattered the nose, started several fires, disabled the intercom and left the bomb doors hanging open. Despite the gaping hole, flames and exploding ammunition Thompson twice negotiated his way down the burning fuselage to rescue the mid-upper and tail gunners, both trapped and ablaze, sustaining severe burns to his own legs, hands and face in the process. Having lost height steadily for an hour the Lancaster crash-landed near the Dutch village of Heesh. Although ‘burned beyond recognition’, Thompson still managed to congratulate the pilot, Flying Officer F.H. Denton, but died of his injuries three weeks later on 23 January. This recording by Denton was made on 12 February 1945. George Thompson was born in Trinity Gask, Perthshire (23.10.1920) and was a grocer before war broke out. His medal is displayed at the National War Museum of Scotland (Edinburgh Castle). 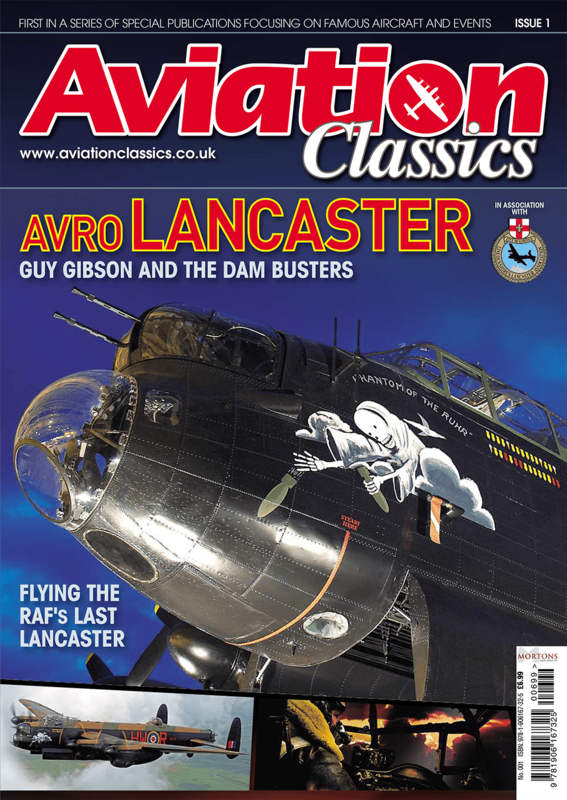 To celebrate the launch the Avro Lancaster bookazine, Aviation Classics are offering an exclusive Lancaster at War audio CD to all our readers. * Not only does this 40 minute compilation CD contain restored sound recordings of Lancaster Aircrew made during an operation to Berlin, you can also enjoy a rare Guy Gibson interview, where he shares his attitude toward the eventual defeat of Germany, plus the expected losses on the Dams raid in May 1943. Lincolnshire’s Lancaster Association is a registered charity supporting the Battle of Britain Memorial Flight. It was formed from the Lincolnshire Lancaster Committee; a small group of people who came together when the Lancaster was moved from RAF Waddington to RAF Coltishall in 1973. The committee’s original aims were to ensure that PA474 would return to Lincolnshire and that the Lancaster would remain in the county as a memorial to the thousands of aircrew who lost their lives during World War Two. Following a request from the RAF to help produce the hardware that made the fitting of the mid-upper turret to the Lancaster possible, it was decided to change the name of the committee and invite public membership. LLA currently has almost 6500 members worldwide and continues to give invaluable support to the Flight. Many projects have been funded over the years by LLA, and this support can only be financed only by the generosity of members, by bequests, donations and money raised from the sale of souvenirs. 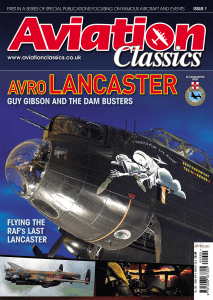 A donation from the sale of each copy of this issue of Aviation Classics will be donated to LLA. The aircraft was delivered brand new to RAF Grimsby – better known as Waltham – in Lincolnshire at the end of May 1943. No.100 Squadron arrived at the station in December 1942 and began to re-equip with Lancasters as part of No.1 Group Bomber Command. It was re-forming at Waltham having been virtually wiped out earlier in the year during action against the Japanese in Singapore while flying Vickers Vilderbeest biplanes. The unit flew its first operational sorties from Waltham on 4 March 1943 and was to remain in continuous action until the end of the war. Sgt Ron Clark and his all NCO crew arrived at Waltham from 1656 Heavy Conversion Unit at Lindholme, Yorkshire. As a ‘sprog’ crew they were fortunate to be given charge of the brand new EE139, which had been delivered at the same time as their arrival. The squadron lost two aircraft that night, both to night-fighters. Thirteen men died and one survived to become a prisoner of war. By mid-June only two crews from those that had re-formed 100 Squadron at Waltham survived. Throughout June nine crews would be lost, one-third of 100 Squadron’s strength. The chances of Ron’s crew completing 30 operations at Waltham were not good. At the airfield EE139 was parked on dispersal 7, close to the village Post Office in Holton-le-Clay. Ron and crew soon became good friends with the two elderly ladies running the Post Office and established a routine of joining them for tea and toast after their morning inspection of EE139. As was the fashion, the crew members were soon discussing an identity for their aircraft. At the time the film Phantom of the Opera was being shown, and was to be the inspiration for the name of their aircraft. Harold ‘Ben’ Bennett, the flight engineer, was given a free hand designing the motif and came up with the ghoulish hooded skeleton figure throwing bombs out of the night sky. ‘Ben’ said he might have been influenced by feelings of revenge from his time as a ground engineer with Fighter Command and suffering frequent bomb attacks by the Luftwaffe. Little did they know at the time that when they created their Phantom of the Ruhr it was destined to become one of the best-known Lancasters in Bomber Command. It gained the squadron code HW-R. Ron Clark flew the Phantom on 32 occasions, logging over 165 hours in the aircraft – 147 of which were operations at night. He was captain of the Lancaster for 25 of the 33 ‘ops’ it carried out with 100 Squadron. When the aircraft left the unit in November 1943 its tally of bombing ‘ops’ was recorded in two rows on the port side under the canopy. Operational sorties were represented with yellow bombs, while a red bomb signified a trip to the ‘Big City’ – Berlin. ‘Ops’ to Italy were recorded with an ice-cream cornet, an unofficial marking used by Bomber Command to signify a raid on Italian targets. Ron and his crew were responsible for two of the four cornets on Phantom, including an 11-hour epic to Turin, and took the bomber to Berlin on three occasions. Few of their ‘ops’ with Phantom of the Ruhr were without incident, but it was their last trip in it, to Mannheim on 23/24 September 1943, when they came closest to disaster. Lish Easby’s diary tells of the events that night: “After a rather long stand-down we were again detailed for ‘ops’. The target this time was Mannheim. Mannheim- Ludwigshafen had been raided twice recently, but as the big chemical works had not been hit this repeat raid was put on. “We took off in daylight and night fell just before reaching the French coast. Our run up to the target was very quiet, we scarcely encountered any defences at all. One thing, however, we did notice was quite a number of lights on the ground over and above the usual. “We reached the target on time and proceeded with our bombing run; the bomb aimer recognised the target by means of a bend in the river. There were numerous searchlights around the town and very soon one of them picked us up. Immediately the pilot took evasive action, but the searchlight still held us. Other searchlights then joined in and very soon we were in the centre of a cone of about 40 searchlights. We weaved, dived and did everything possible but the searchlights still held us. “Soon we became a target for the flak batteries working in co-operation with the searchlights. Flak was bursting very close when suddenly there was a bang and the aircraft shuddered as we got a direct hit from an AA [anti-aircraft] shell. As we were now right over the target the pilot ordered bomb-doors open and the bomb aimer released the bomb load. The bombdoors had scarcely been closed when with a flash and another heavy shudder an AA shell burst on the starboard tail plane. “The searchlights were still on us and while we attempted evasive action the aircraft went into an uncontrollable dive, but fortunately the pilot was able to regain control and pull it out. As we afterwards discovered the controls to the starboard aileron had been severed. “As we were now getting out of the target area the searchlights were getting thinner until eventually we were free of them altogether. By this time we were down to 8000ft as we turned for home. “The aircraft was now vibrating violently and the starboard tail unit was shaking as though it was going to fall away any minute. No one expected we could remain airborne for long and I already had my parachute pack on in readiness to jump. “Shortly after leaving the target the engineer went aft to examine the damage. He reported the starboard aileron control severed and that the trimmer tab was still connected and causing the vibration. The engineer then severed the aileron trimmer control and the vibration ceased. “The vibration having also stopped on the tail plane we began to see the possibility of getting home. In fact we got back without any further trouble having climbed to a height of 16,000ft. On arriving at base we were given priority to land and the pilot made a good landing in spite of the fact that the flaps were useless. “As soon as we landed we examined the damage, fortunately we had no casualties. We had received a direct hit by an AA shell in the bomb doors, the shell having passed through the bomb-bay, fuselage and out through the top without exploding. This shell had also severed the aileron control. “Another shell had burst on the starboard tail plane, badly damaging it so that the whole unit was loose. The fuselage was peppered with shrapnel and the Perspex broken in the mid-upper turret. The fighter had hit us in the port main plane with one cannon shell and several bullets. Finally, to crown everything a 30lb incendiary evidently dropped by another bomber had struck one of our propellers and the fin of it was still lodged in the radiator. “That was the end of our most eventful trip up to date. We never thought we should see England again and I think the fact that we did get back was mainly due to the skills of the pilot and engineer.” For their actions that night Ron Clark was awarded the Distinguished Flying Cross (DFC) and ‘Ben’ Bennett the Distinguished Flying Medal (DFM). At least 300 shrapnel holes were counted in the aircraft and the Phantom would be out of action until early November undergoing repairs. Ron and his crew were sent on seven days’ leave and on their return flew a further five ‘ops’ with 100 Squadron before being posted with ‘C’ Flight to form the nucleus of the new 625 Squadron at Kelstern, Lincs. They flew one further operation before being screened, split up and posted. Most survived the war with the exception of the navigator, Jim Siddell, who was killed over Holland in a Mosquito in 1944. Phantom of the Ruhr was repaired and completed four more operations with 100 Squadron before being transferred to 550 Squadron in November 1943. It continued its charmed and eventful life, going on to complete a total of 121 ‘ops’. Despite becoming 550 Squadron’s longest-serving Lancaster and being awarded its own DFC, the Phantom, like so many other famous aircraft, was unceremoniously scrapped in February 1946. With thanks to Ron Clark and Lish Easby. Historical information on EE139 based on research by Ed Straw.